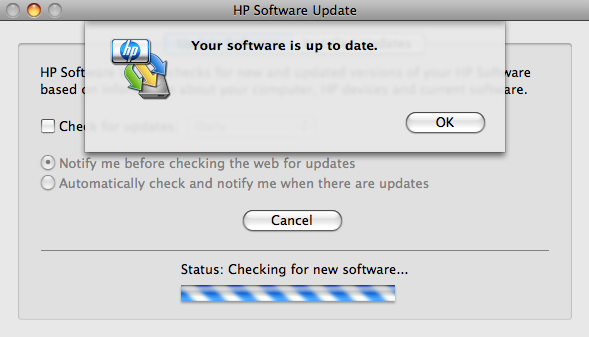 As usual, HP is botching a driver update for Mac. With the release of Leopard, some Photosmart systems didn’t have Leopard drivers. HP said that the workaround was to install Tiger, install the HP driver set, and then upgrade to Leopard. One problem with that… new systems can’t run Tiger (not to mention the obvious lack-of-clean-install-choice). So, HP this month has issued drivers for those systems with a proper Leopard installer. My Photosmart 2610v was updated to version 5.3.1. And, 5.3.1 has some nice perks, like a unified utility that lets you troubleshoot all the HP Photosmarts on your network (I happen to have two units in different locations). Now, how did HP botch this release? They forgot to issue 5.3.1 for all the Photosmarts that did get a Leopard installer initially. They’re still stuck with version 5.3.0. So, you’re actually now better off having an older Photosmart since they have the newer driver. HP could fix this easily… come up with a unified Photosmart driver. Older printers out of support would be prompted that they aren’t compatible with the latest unified installer, and be directed to the older version. This is what both ATI and Nvidia do with drivers on the PC, so it’s not a stretch that this would be the optimal situation for HP. 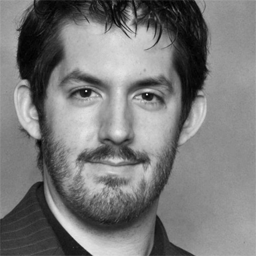 I was sitting with an Apple engineer having lunch, and we were debating what was the absolutely worst Mac app out there. We both agreed that HP Software Update was the worst… it never worked, continued to not work. Well, after years of not working, I was presented with the item below after updating. It works, finally! my hp photosmart c4280 all in one printer is not working. I did upgrade my software to leopard but the the printer seem to work fine 4 months ago right after i upgraded. I have cleaned my computer of any virsus, and have also uninstalled the hp software several times to try to get it to work. I am now lost on what else to do.